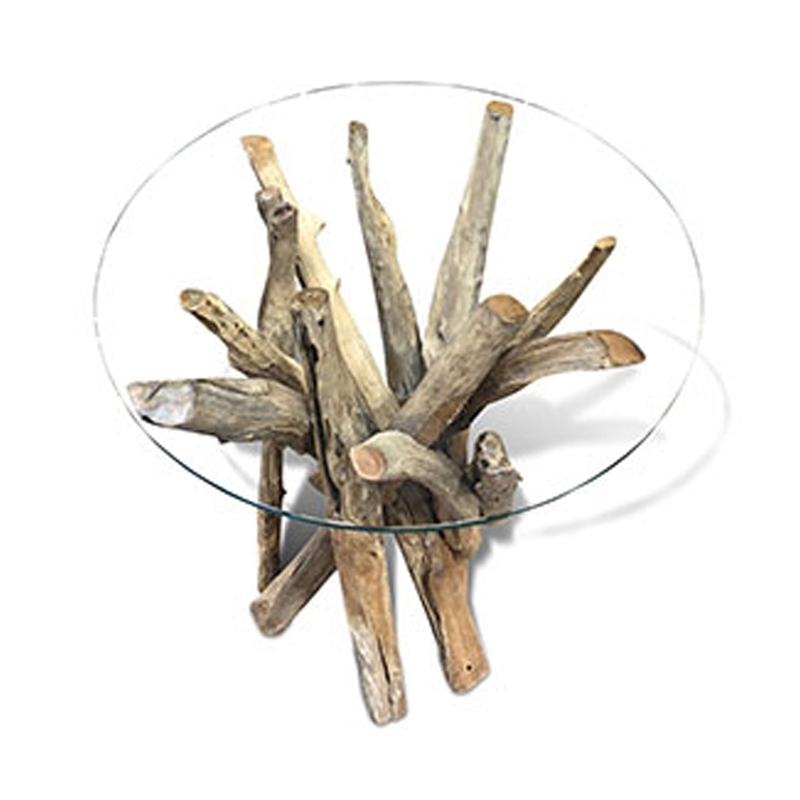 We are very proud to welcome this magnificent Wooden Side Table Drift Round Glass. This piece contains a fantastic style that'll be sure to grab attention and act as an interesting focal point in any home. The wood base contrasts with the round glass surface to create a modern looking piece.